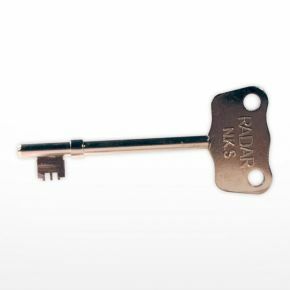 Wide Head, easy turn Radar Key For disabled toilets. Provides access to to around 7,000 locked public and/or disabled toilets around the country. PLEASE NOTE: EVERY KEY IS TESTED ON A RADAR LOCK. IF IT DOES NOT FIT, YOU ARE NOT USING A RADAR TOILET! Very handy key as had to use it on recent journey to parents in Scotland. Saves having to ask woman in shop to borrow theirs. Love the rubber key end & the Braille...good idea! A key that's too large to lose your grip on, which opens the door you really need to open quite urgently. Everyone should have one.